Arc 1950 was designed with families in mind. 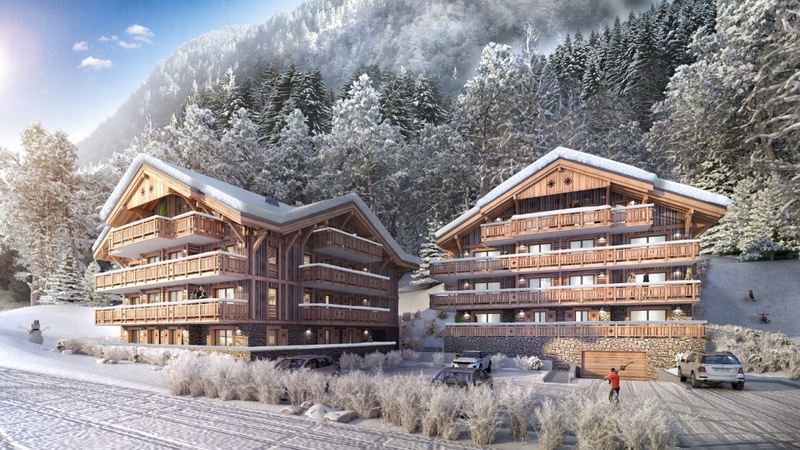 Built just 13 years ago, it is the newest ‘village’ in the French Alps. 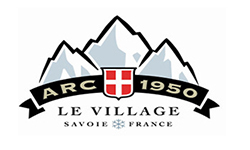 The Village – this little village of Arc 1950 has its own charm and is small enough to wander safely around in the evening. There are no cars – they all park underground. The village is lit up with all you need, two children’s toy shops, various ski stores, lovely bakery, a little supermarket , and a selection of bars and restaurants if you want an après ski apero en- famille or a meal out. 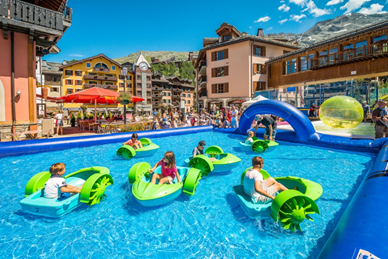 Ride the Rodeo Park – for over 12s – this 400m sledging ride runs beside the Cabriolet chair just above Arc 2000. Helmet and toboggan are provided, just turn up and enjoy the long and fast ride down. Fireworks – every week Arc 1950 has an activity programme – from Russian week to Frozen week, Spring week to fashion week! One night of the week watch the firework display either from your apartment balcony or watch from the village centre. Breakfast at La Brasserie – yes you will have all the facilities in your apartment to cater with; but give yourself a break and visit La Brasserie for breakfast. Fresh fruit and pastries, cooked breakfast and coffee on tap! It’s open from 7am so plenty of time to get in and back to your ski locker room to be kitted up for ski school: 17 euros per adult and 8 euros per child. Go swimming! Every residence has an outside pool and the Princes des Cimes Residence also has an indoor pool – for a small additional fee you can guarantee an apartment in this building if your kids love swimming. Otherwise the small outdoor pools are great fun, if a tad on the chilly side. Ok so this isn’t for families – but for parents. 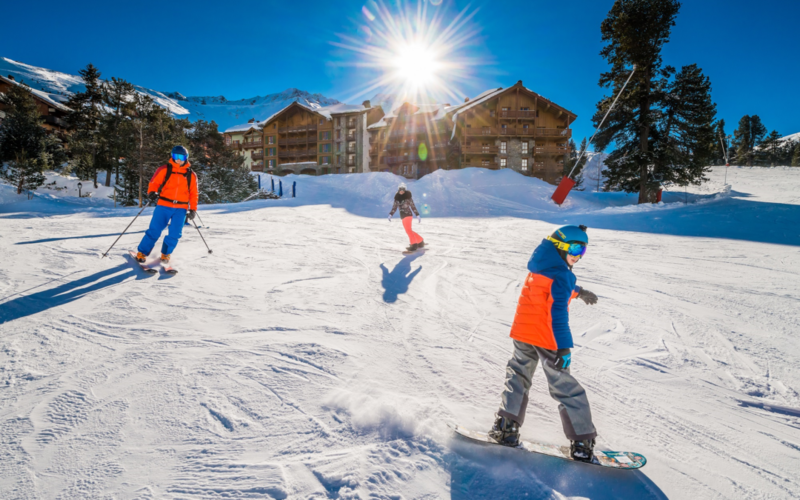 Leave your children in the crèche, or sneak off while they are at ski school and spend an hour or two in the Deep Nature Spa. Book a massage in advance with incredible window views looking out to the snowy peak of Mont Blanc. Save up to 40% off apartment bookings in Arc 1950 with Erna Low. 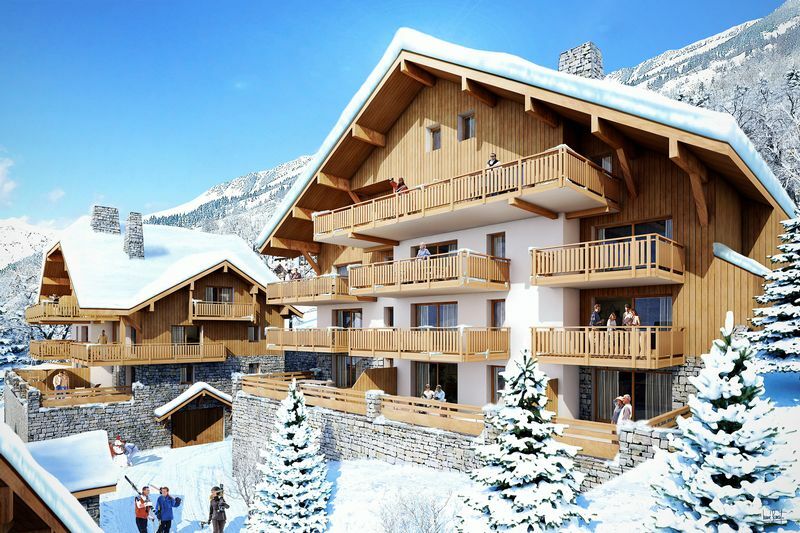 Save up to £998 on a two-bedroom apartment in the Prince des Cimes Residence for dates 7/14/21 January and 15% off for half-term weeks 11 and 18 February – call 0207 590 1720. 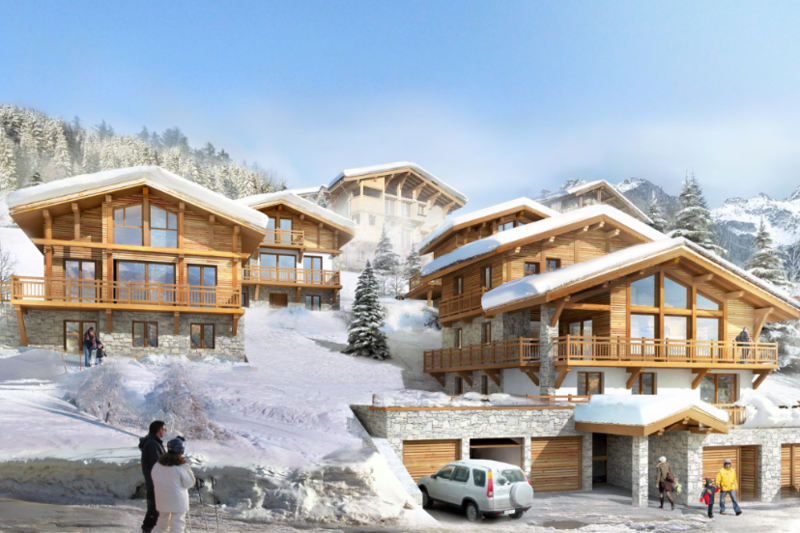 There has been a shortage of snow at many resorts in the Alps over Xmas, but does that mean fun can’t be had? PlanetSKI reports. There hasn’t been a decent amount of fresh snow in this part of the Alps since the middle of November. Certain sections of the media are reporting an Xmas washout. There are hardly bumper conditions but there is more than enough snow at Arc 1950 for some fun. It’s five years since I have skied before Christmas with the family and with a full week of school holidays before Santa dropped in this seemed like the perfect chance to squeeze in an extra ski trip. Having watched the early season snow, or lack of it in recent weeks, we were feeling slightly smug with our booking in Arc 1950. Bourg St Maurice seemed especially green as we left the valley for the climb up to 1950. I’d been watching the webcams and knew there was snow in the village which, sitting at 1950m literally just below Arc 2000, was great to see when we arrived late in the evening. I haven’t skied in Les Arcs since going with my parents when I was about 12 years old. Arc 1950 wasn’t even conceived then, only being built from 2003 onwards. 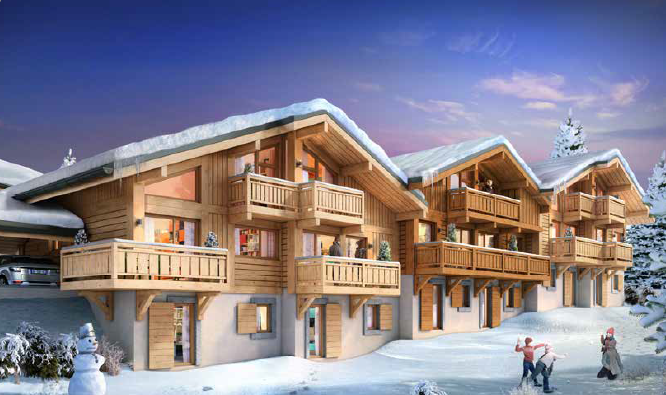 Originally built by Intrawest, the village was cleverly designed to be ski in out but in a more traditional style than the 60s and 70s block buildings of the other neighbouring ‘Arcs’. Over our five day stay, we loved being able to ski to the door and having everything you need literally on your doorstep makes skiing as a family so easy. No buses to catch or cars to negotiate whilst steering small people around in heavy ski boots. The children were so safe going out each morning to buy fresh croissants from the fabulous L’Arc Dore bakery. All the pistes above Arc 1950 were in great shape despite no recent snowfall. The little snow we did have mid week freshened the slopes but not enough to cover the bare patches in the lower villages. Despite the lack of snow, we loved the runs down to Peisey Vallandry, mostly on man made snow but catching some early season sunshine they were surprisingly soft and easy to ski on. We also took the incredible Vanoise Express over to La Plagne which was a great adventure day out to make from Arc 1950. From the top of the Aiguille Rouge at 3226m, the red run down was icy in places but we easily found some grippy snow along the edges and taking the Lanchettes chair above Arc 2000 we could see the black ‘Genepi’ looked skiable (we didn’t make that run with our youngest). Black ‘Combes’ under the Lanchettes was fun with just the odd stone/rock to hop! Restaurant Bulle, the huge luge run and the Igloo village with giant airbag make the ski area above Arc 1950 under the Arcabulle chair a fun place to hang out. 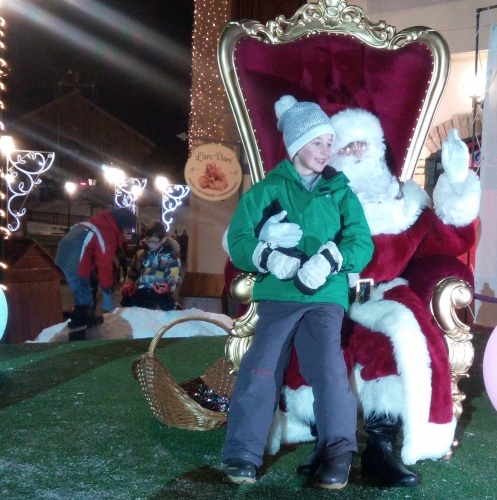 In addition every evening Arc 1950 had a selection of activities -ski joering, remote controlled cars, night skiing and more, the highlight being Santa’s visit with reindeer giving sleigh rides around the village. 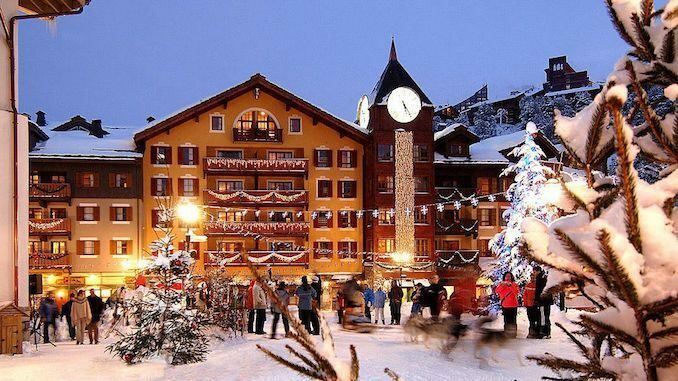 Perfect for a few days family skiing in the run up to Christmas. For us the glass was most definitely half-full.